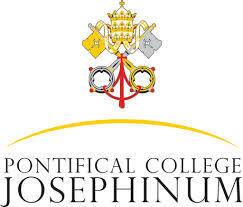 The Pontifical College Josephinum is proud of its demonstration of institutional effectiveness through our full recognition by the Association of Theological Schools, as well as the Higher Learning Commission-North Central Association of Colleges and Schools, and the Ohio Board of Regents. Through each of their standards, we have demonstrated institutional effectiveness through recognition of each of our academic programs, to include the 2012-2013 academic year.It is our commitment as an institution of higher learning and as a pontifical Roman Catholic seminary, that we provide a distinctive experience for our seminarians, culminating in the obtainment of a Bachelor of Arts, Bachelor of Philosophy, Sacred Theology Bachelor̠s, Master of Arts, or Master of Divinity degree through either the College of Liberal Arts or the School of Theology, respectively.Our institutional effectiveness is illustrated through a closely interwoven educational experience for our seminarians, and is perhaps best demonstrated by our high faculty to seminarian ratio of 5:1. The Josephinum̠s acceptance rate of 87.8% and graduation rate of nearly 100% at the College, Pre-Theology, and College level, demonstrate our selectiveness as well as our commitment and demonstrated success to be effective as an institution.